After years of development, the company set up a high level of professional R & D team. In the current basis of mature technology, more focus on the development of new protection products. According to the existing market demand and different properties of the fibers, our company has developed fire-retardant poly cotton interweave fabric, anti-static knitted fabric, fiber flame retardant anti-static knitted fabrics and other new protective fabrics. Now, our company is doing research on the below fabrics: the cotton fluorescent yellow flame retardant fabric with high light fastness; cotton fluorescent orange fabrics and cotton fluorescent orange fabrics with flame retardant function; the poly cotton interweaved fluorescent red fabric which can still pass EN20471 after xenon lamp radiation and other functional fabrics. Yulong constantly committed to developing greener, healthier, more comfortable, and more comprehensive function composite fabrics. 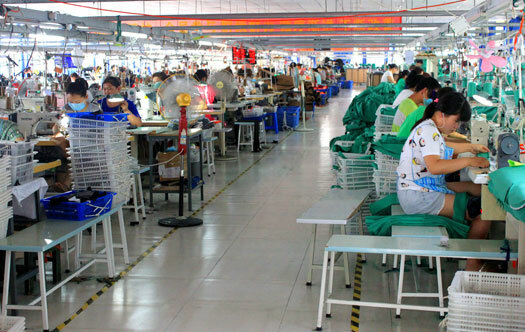 Our goal is to build an enterprise which owns all Asia's flame retardant fabric. Traditional workwear general lack of comfort, our design team keep optimizing the tailoring method based on the ergonomic principles, so that to make workers more flexible and comfortable when wearing the workwear. 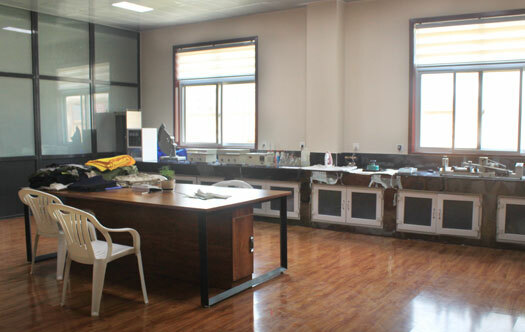 In order to change people's impression on the tooling wear of lack of aesthetics,Our fashion design team continuous research the color matching way of workwear and improve workwear size table, so that the tooling can also possess the aesthetic along with the safety and comfort properties.